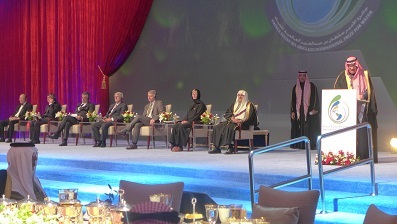 The 6th Awards Ceremony for the Prince Sultan Bin Abdulaziz International Prize for Water was held in Riyadh, Saudi Arabia at the Prince Sultan Grand Hall, Faisaliyah Hotel on 15 December 2014. The ceremony was officiated by Saudi Arabia’s Crown Prince, HRH Prince Salman Bin Abdulaziz Al Saud. Attendees included prominent member of the Saudi government, leading Saudi academics, prominent members of the Saudi Arabian water sector, and a number of water researchers from around the world.